Amazon CEO Jeff Bezos has been having an eight-month affair with a married former television anchor behind his wife MacKenzie's back, a report claims. Bezos, 54, and Lauren Sanchez, 49, a helicopter pilot and former anchor, have been dating since June. A magazine claim Bezos met Sanchez for trysts as often as six times in two weeks, took her on holidays on his $65 million private jet. A source close to the Bezos said that the Amazon founder only began seeing Sanchez after separating from his wife - however a magazine claims the affair went on behind their spouses' backs. Bezos released a statement revealing the split on his social media account yesterday. He and his wife described each other as 'cherished friends' and gave the impression it was amicable . Sanchez is married to Hollywood talent mogul husband Patrick Whitesell, and sources say they 'separated this fall'. Hours before word of Bezos and Sanchez's relationship became public, he announced that he was divorcing his novelist wife MacKenzie Bezos through a joint statement. The couple claimed they had been going through a 'trial separation' in recent months. 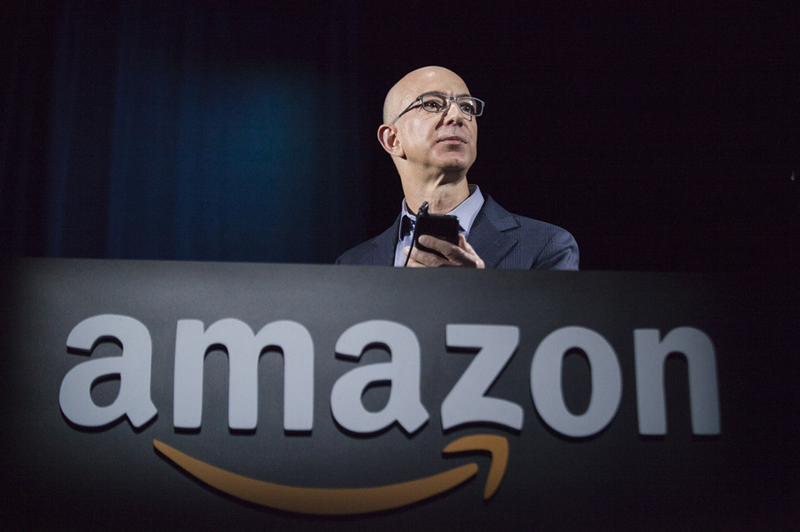 Bezos shared the announcement on his personal social media account on Wednesday, signed by both him and MacKenzie. 'As our family and close friends know, after a long period of loving exploration and trial separation, we have decided to divorce and continue our shared lives as friends,' the statement read. Jeff Bezos is worth close to $140 billion. The statement did not mention how the two will split that fortune, though experts believed that's already been hashed out. The divorce should have no material impact on the company and its shares, said an analyst.